Tomorrow is one of my favorite holidays: Super Bowl Sunday. “That’s not a holiday!” you say, but in my world, where football season is highly admired, Super Bowl Sunday is like the final celebration. Despite the fact that my Giants’ season was over even before playoffs began, I plan to root for Peyton Manning and the Broncos because if I can’t have my Manning, the other Manning will do. I love having my fair share of savory goodies to eat during Super Bowl…. Chili, Buffalo Wings, Guacamole, Chips….they will all be making an appearance tomorrow, but I also am a fan of having a few sweet items to nosh on as well! 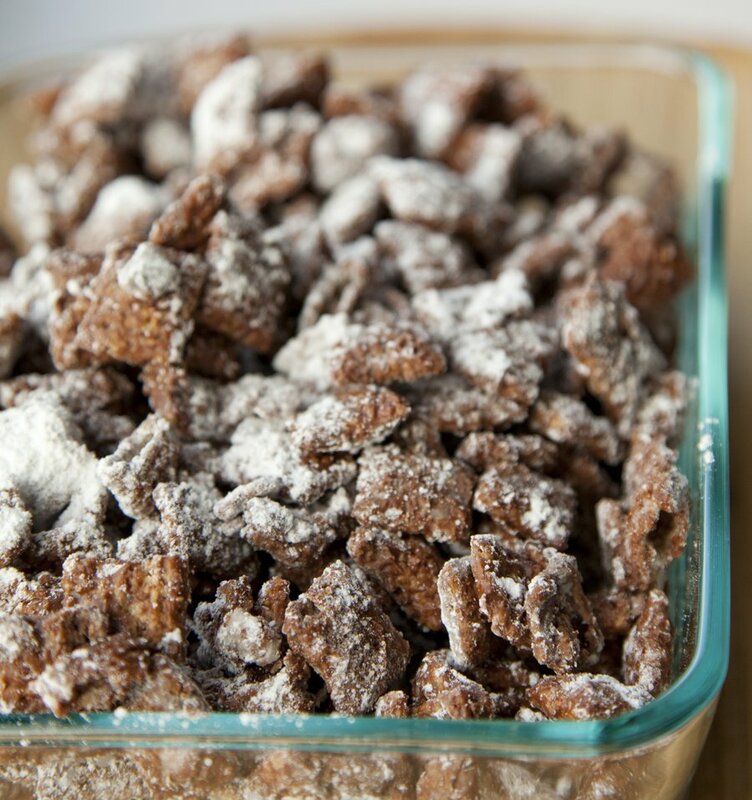 I have been dying to blog this super easy recipe for Puppy Chow for a while now, and figured Super Bowl was the perfect excuse to make a vat of it and go nuts on it with all my guests. This recipe is only 5 ingredients and is gluten free for all those out there who are on the GF train. It also incredibly easy to make – something kids would love to help out in the kitchen doing! This is also a great snack to make and send the kiddies to school with! You can go various routes with this recipe if you so desire…. 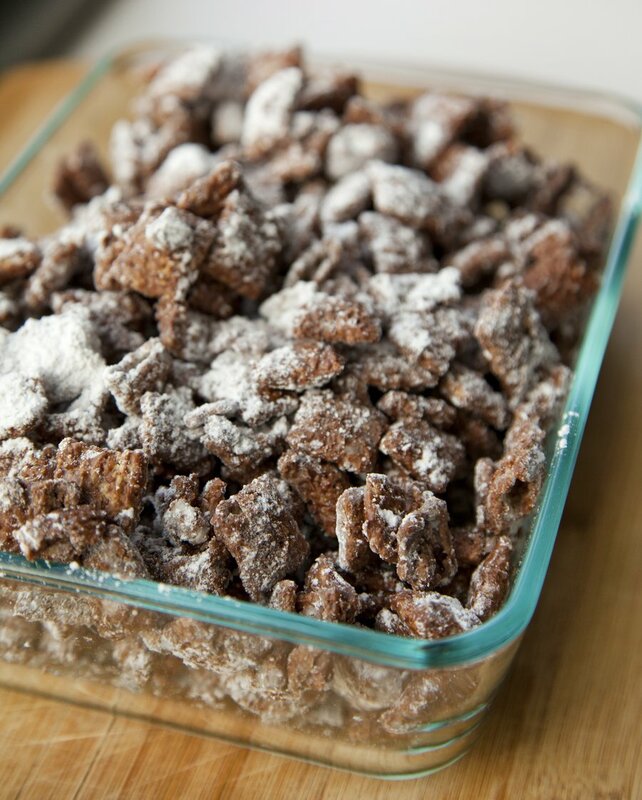 Simple and Easy Puppy Chow - great for any party! Measure out your cereal into a large bowl. In a small saute pan, add your butter, chocolate chips and peanut butter, and start to melt over a medium heat. Stir with a spatula until everything is melted and fully combined. Remove the pan from the heat and pour over the cereal. 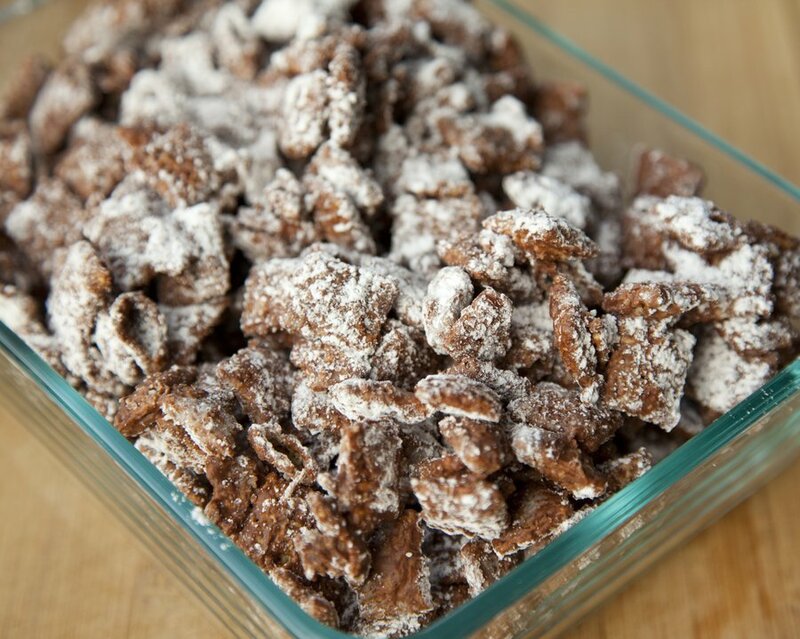 Using your spatula again, toss the cereal, gently, until completely coated with the chocolate mixture. 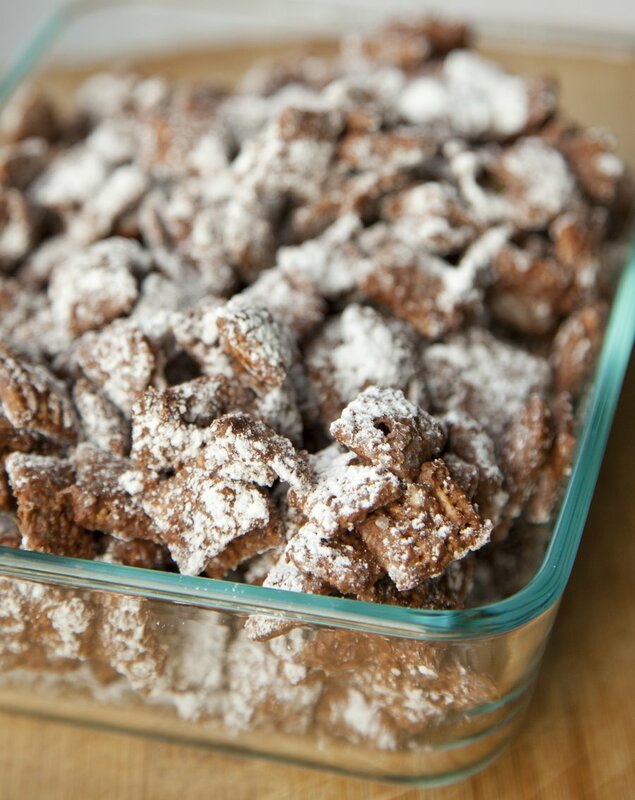 In a large ziploc bag, add your powdered sugar and your cereal and seal. 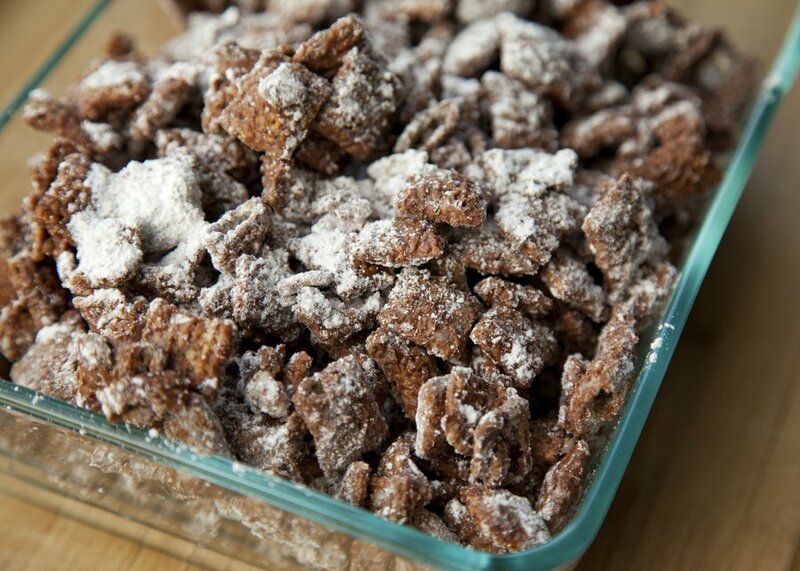 Toss together gently until the cereal is fully coated with powdered sugar. Line a baking sheet with wax paper, and turn out your cereal onto the baking sheet and spread out gently to cool for the next hour. Store in an airtight container.